With years of experience helping buyers and sellers in Putnam and Westchester, Mike knows how to locate the finest properties and negotiate the best deals for both his buyer and seller clients. It's his job to know about the latest market conditions, government regulations and upcoming developments — so that you don't have to. Having coded and designed his first web site in 1994, Mike is considered a pioneer in real estate web sites and Internet marketing. Mike has always been ahead of the competition when it comes to technology. His web sites are some of the most popular and highly trafficked web sites in all of Putnam and Westchester. His creative methods in the use of all forms of Internet technology and web marketing has changed the way agents market their properties in Putnam and Westchester County and have set a standard for the way real estate agents and agencies do business. and web design and has even given seminars on how to use technology to dominate the real estate industry. MikeTrinch.com as well as many other real estate web sites Mike has created over the years have received numerous awards for being top in the real estate industry in regards to amount of monthly traffic the sites receive and overall innovation and design. Mike's unmatched marketing ensures his sellers receive the highest price possible for their home. 93% of home buyers use the Internet to search for homes, having your home displayed on one of the first web sites that a home buyer finds when searching for homes in Putnam and Westchester is absolutely imperative when you are selling your home. MikeTrinch.com receives thousands of visits per month from buyers searching in this area. For numerous years Michael Trinchitella has been the resident real estate expert and writes a real estate column in the Somers Record, Yorktown News and Mahopac News. Mike has written hundreds of articles that have helped sellers to understand the home selling process while teaching what very important things they need to do in order to sell a home for top dollar and in the shortest amount of time. Mike was also chosen out of hundreds of top agents in the world to be featured on a real estate TV show on the TLC Network called Please Sell this House. His expertise in selling homes for top dollar in the shortest amount of time as well as well as his ability to teach homeowners how to ensure they receive the highest price for their home was an intregal part of why he was chosen for the television show. 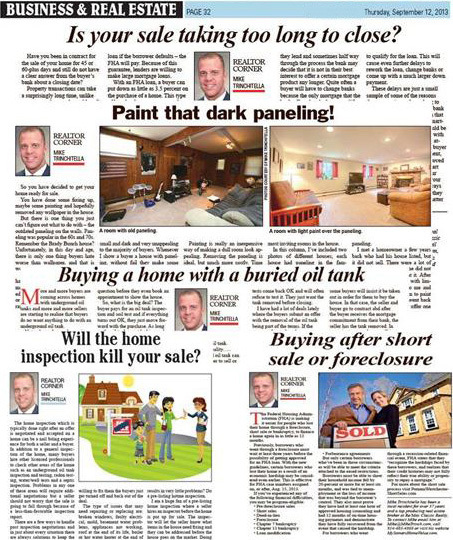 Mike has also been quoted in various newspapers and real estate media for his expertise and knowledge of real estate. Mike has lived in the area for over 38 years and has years of relevant experience here that make him intimately familiar with the Putnam and Westchester area. 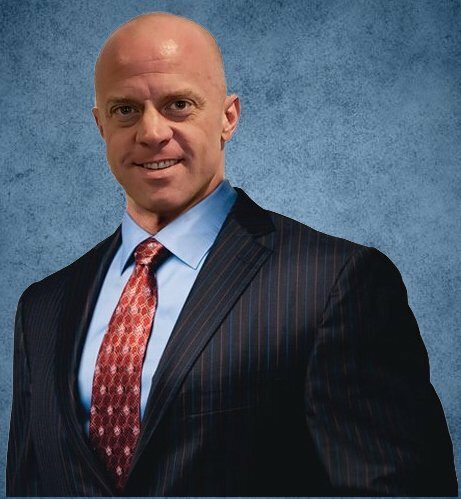 Mike has a degree in Finance from Pace University where he excelled in finance and marketing, an education that has proven itself to be invaluable to his business and his satisfied clients. 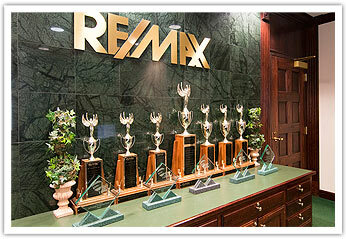 Mike is a dedicated real estate broker who loves what he does. If you're a results-oriented person interested in real estate in this area please contact him. You won't be disappointed! Contact Mike below with your real estate needs. Selling a house on your own can be an overwhelming task. There's advertising to plan and budget for, open houses and private showings to arrange, purchase offers to negotiate, contract contingencies to worry about, and complicated paperwork to fill out. Make it easy on yourself by putting your home in the hands of a seasoned top producing selling broker. I have extensive experience marketing properties and selling them for the highest possible price in the shortest amount of time. I will first put together a comparable market analysis of your home to determine the most appropriate price to ask to ensure the highest possible offers from potential buyers. I will then provide home staging advice and any landscaping tips that will help draw buyers to the home. 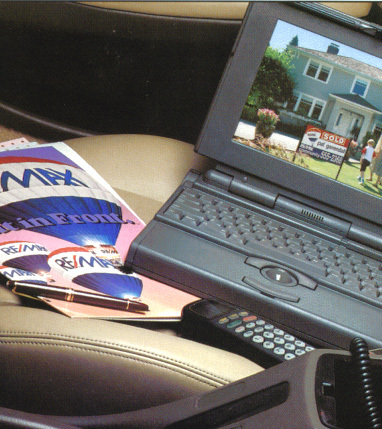 I will advertise your home through a variety of methods, including local publications and online MLS listings. I will even showcase your home as part of this site's Featured Listings. When it comes to negotiating an offer from a buyer, my skilled negotiating skills will make sure that you get the best price for your home. I will help you understand contract contingencies and details of the closing process, in addition to handling all the paperwork for you. I am here to represent you throughout the entire selling process, and to make sure that your real estate transaction is a positive and profitable experience. See our Seller's Guide to get your Free Home Evaluation, or contact us to get connected with a top producing Mahopac Seller's Agent.